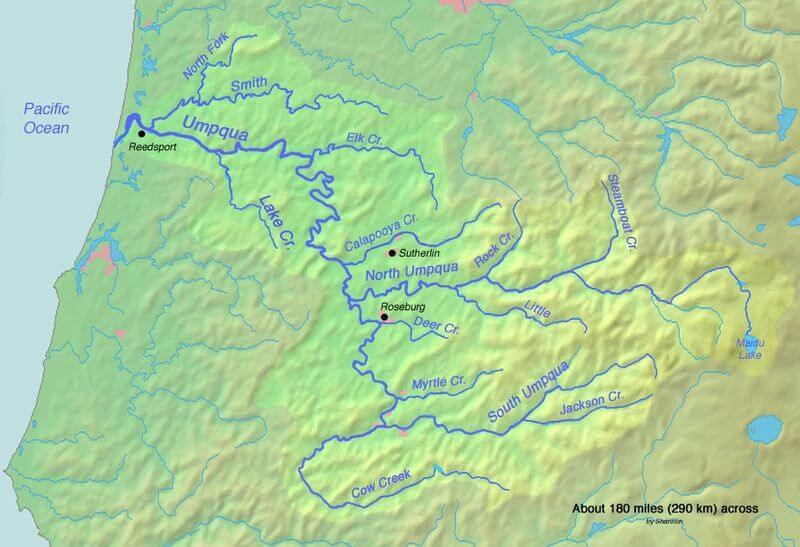 In May and June the Umpqua River has a run of 175,000 Shad. Most of the Shad run form 3 to 4 lbs and pound for pound there is nothing that fights as hard as a Shad. They jump, take off on long runs and they never give up. If Salmon and Steelhead fought like Shad you would never land one. There is nothing more fun that you can do with a 5-weight fly rod than catch Shad. We also use ultra light spinning rods. 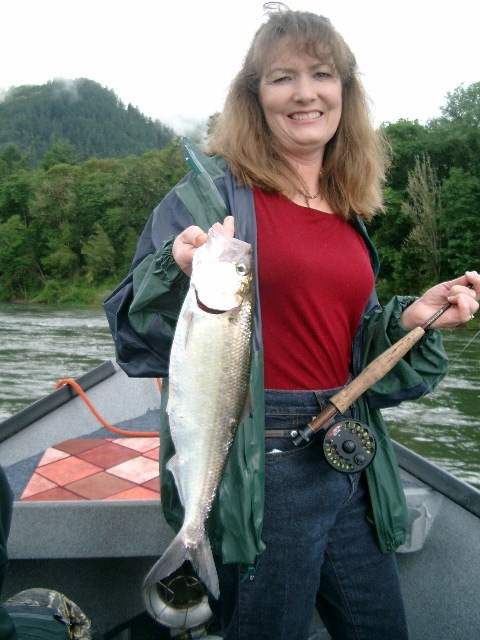 We take clients Steelhead fishing, Salmon fishing and Shad catching. The average fishing time when we are on a school of Shad is 6 to 8 minutes to hook up. Shad are excellent for kids and someone that you want to get into fishing because you have so many hookups. Shad fight so well that they teach a person how to handle a big fish like a Salmon or Steelhead, and you can learn not to let them run or they will break you off. A 3-pound Shad will fight like a 6-pound Steelhead. Fishing for Shad is so much fun that you will say to yourself. "SO THIS IS WHAT IT'S LIKE TO FISH YESTERDAY''. So if you want a great time try Shad fishing you it will be an experience you will enjoy, and remember forever.